If you are not familiar with DOTZ TV on YouTube, you are missing a lot of action. Recently Go Pro has teamed up with DOTZ TV and filmed very cool video of hot girls, M3 and an airplane playing tic tac toe. At the beginning focus your eyes on the hot girl with the bucket of the paint, and then you will start wondering why does the plane do all the landings and take-offs. But at the end you will be amazed that Hero 3 from Go Pro is one amazing camera to capture everything. 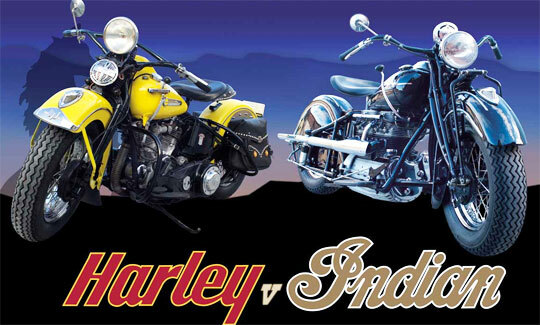 The bike overall will turn your head, its stretched for that classic looks but still looking modern for the thrilling experiences. The slammed seat is 20 inch above the road, which is pretty cool. The rake is at 34 degree and it offers easy precise handling of the Bear Bones. Big Bear Choppers have outdone themselves with Bear Bones, and if you disagree let us know in comments. Lush Fab Glam world is the number one source for women and men to get in style. From stylish hot topics like beauty essentials, design and decor, dream destination, and much more all at Lush Fab Glam. Celebrities take their time to get the new fashion leather jacket and show it off at the event. According to Lush Fab Glam (Luscious, Fabulous & Glamorous) Miley Cyrus was spotted to be wearing various leather jackets designed by various stylists. Going from basic to casual chick is an easy transformation with the help of Lush Fab Glam and eBikerLeather. Just take denim jeans and a t-shirt look from basic to casual chick by just adding a crop neck leather jacket with zippers. Glam events are all about who looks better in their fashion clothes, and with biker leather jacket and long pleated skirt anyone can overtake the glamorous look and event. Planning night out with the girls, but don’t know what to wear, because everything seems old? Pair your favorite cocktail dress, mini dress, or skirt with one of biker leather jackets to achieve your style statement. Trendy looks never go out of style, actually they bring in more style for the fashion world. Keeping trendy during the summer can be a hassle, but rocking a favorite leather top is easy. Wearing a leather bra top, vest or bustier under a blazer helps in achieving the trendy look. According to Lush Fab Glam to achieve the edgy look all you need is leather leggings, leather crop top, and top that off with a biker leather jacket. Also remember to add bright red lipstick and pair of high hills. Looking to add that soft and fun element to your edgy style? Try out a leather jackets with studs, braid, and fringe at the arms or side. With this seasons jeans shirts and all denim trend being worn by celebrities like Rhianna, this all leather jean biker jacket will make the perfect addition to your wardrobe. The best of all that the all leather blue jean jacket is afford-ably priced for the fashion budget. Let eBikerLeather.com help you get in the fashion world, and accomplish that biker chick look. Click here to read more about eBikerLeather and Lush Fab Glam. Even thought that Laverne Chance is not preparing for a long journey ride, she plans on celebrating her 100th birthday by riding a motorcycle one more time. She plans on riding her son’s Honda Shadow which will be her first ride in 10 years. 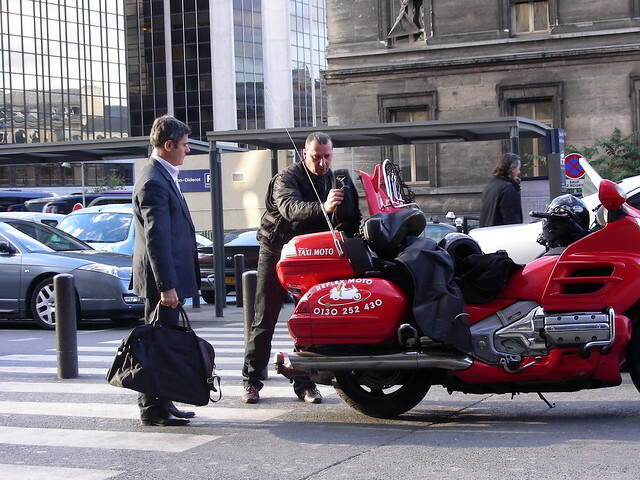 In France, Honda recently has announced that the Goldwing Honda is not designed to be a taxi motorcycle. Back in 2010 car taxi operators managed to regulate a law making illegal to display “Taxi” on motorcycles. Motorcycle riders were not allowed to wait by the taxi stop to ask people if they want a ride. Motorcycle taxi had to be called in advance, and scheduled for pickup. The biker must have motorcycle license for more than 5 years to get a taxi license, but the motorcycle has to be less than 3 years old in order to receive the license. After years of battle motorcycle taxi’s have returned to the streets of France, and now are part of daily business in France. However, here is what Honda is missing, since 25% of Honda Goldwing sales are from taxi services they should offer better warranty on the bikes. Over time the bike parts get worn out, and they need replacement. If Honda would step up and provide better warranty they could be number one selling motorcycle company in France for taxi riders. Each year about 200 Goldwings are bought by taxi companies. Big Bear Choppers Titanium bike is finally delivered as a full package. Simon Scott was teasing his new bike couple months ago and most of us were curious to see more of the Titanium. The bike has special features, and touch ups. The Chassis Was Made by Erik Buell. Premium Ohlins Suspension Tuned by MotoGP Experts. Race Tech and Bake Tech Rotors. The Titanium is available as complete unassembled kit or ready to ride. Starting price $30,500 unassembled and 37,900 ready to ride. Always wondered how a Mac (Apple Computer) would look like when it would be transferred into a motorcycle? I have the answer for you right here in this video at 1:30 minute mark.